Pratthana – A Portrait of Possession , which as premiered in Bangkok in August and staged at Japonismes 2018/Festival D’autumne à Paris in December 2018, is a stage adaptation by Toshiki Okada of the latest novel by Uthis Haemamool, based in Bangkok, who is at the leading edge of contemporary Thai literature. This will be shown for the first time in Japan. This adaptation looks back at the life and sexual past of a painter living in Thailand between 1990s and 2016, projecting society, history as well as political changes around an artist. 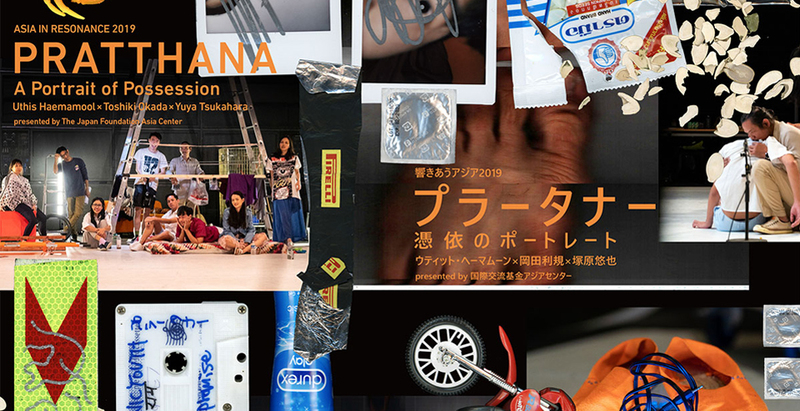 This production was created thorough collaboration within Toshiki Okada and Uthis Haemamool, both are artists and of the same generation, Yuya Tsukuhara (contact Gonzo) as scenographer, actors from Thailand and the creative staff from Thailand and Japan. June 27 (Thu.) 6:00 p.m.
June 28 (Fri.) 6:00 p.m.
June 29 (Sat.) 1:00 p.m.
June 30 (Sun.) 1:00 p.m.
July 1 (Mon.) 6:00 p.m.
July 4 (Thu.) 6:00 p.m.
July 5 (Fri.) 6:00 p.m.
July 6 (Sat.) 1:00 p.m.
July 7 (Sun.) 1:00 p.m.
* These tickets are the same price whether purchased in advance or at the door. Please present your ID at the ticket counter. * Technical college students, university graduate students, university undergraduate students, and students of elementary, middle, or high schools. This set ticket price is a discount of 500 JPY on the general advance purchase ticket price for each work. * Available only at Tokyo Metropolitan Theatre box office. * Purchase of set tickets is limited to two sets per person. April 21 (Sun.) 10:00 a.m.